giveaway: for reaching 250 followers! if you’ve followed my blog for a while or just found it recently, you’ll sort of get that i love nail polish. i can’t go a day without having my nails painted and if i get a chip, i do a mini freak out in my head. so, when i was thinking about what to feature in my giveaway (and looking at the lovely people who read my blog) i decided that something nail related was a given. i’m ridiculously happy to have over 250 followers, i literally never thought anyone would really read my little blog so it’s so nice to see that people are. as i only do this as a hobby, i love reading all the comments and really do appreciate every single person to stumble across my blog. so, thank you all very much! 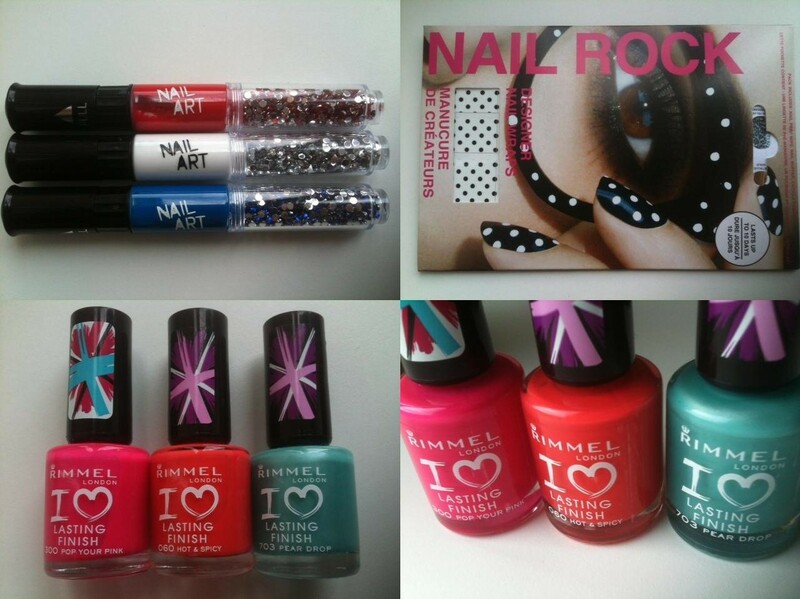 1. three rimmel nail polishes: pop your pink (bright pink), hot & spicy (bright coral orange) and pear drop (minty green). 2. nail rocks nail wraps in black and white polkadots. 3. three nail art pens in red, white and blue. they have a pen to draw little details, a brush for bigger areas and gems for an extra bit of bling. *all the items were bought by me with my own money, not given to me by a company or bought with store credit/press discount. 2. follow this blog on twitter. 3. leave your email address, name and blog url/name in a comment below. 1. follow this blog on bloglovin’ (mention this in a comment) – 1 extra entry. 2. tweet about the blog including my twitter name (@thelovecatsinc) and this post URL (leave the link in a comment) – 3 extra entries. 3. mention this giveaway in a blog post (leave the link in a comment) – 3 extra entries. this giveaway is open worldwide, the winner will be chosen using random.org and will close on the 22nd of july.